When the ground outside is slick with rain or snow, running on a treadmill becomes an excellent choice for fitness equipment. In the warmth of the indoors, athletes can run at fast paces or moms can walk for fitness. With different settings, runners can train at the proper pace and inclines for upcoming races. Anyone can walk on a treadmill for a variety of health benefits. Although many people head to the gym to use a treadmill, home versions are becoming more affordable. Safe from cars and other outdoor hazards, home treadmills can be an excellent choice for daily exercise. Which iFit Treadmill to Choose? Which Treadmills Work with Apple Watch? Which Treadmills work with Zwift? According to several reviews for the Best Treadmills of 2018, the Weslo Cadence G 5.9 is considered the best machine you can currently buy. 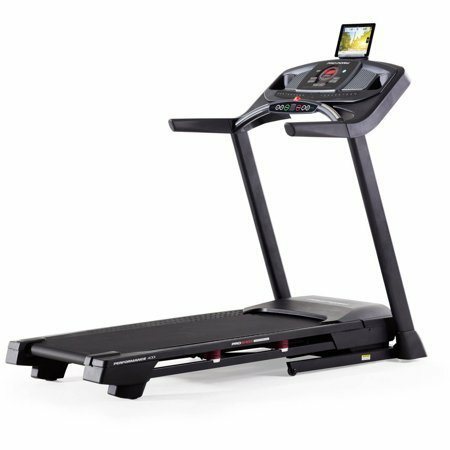 Other honorable mentions include items such as the NordicTrack T 6.5 S Treadmill and the AFG Sport 5.5AT Electric Folding Treadmill. What is the best brand of treadmill? 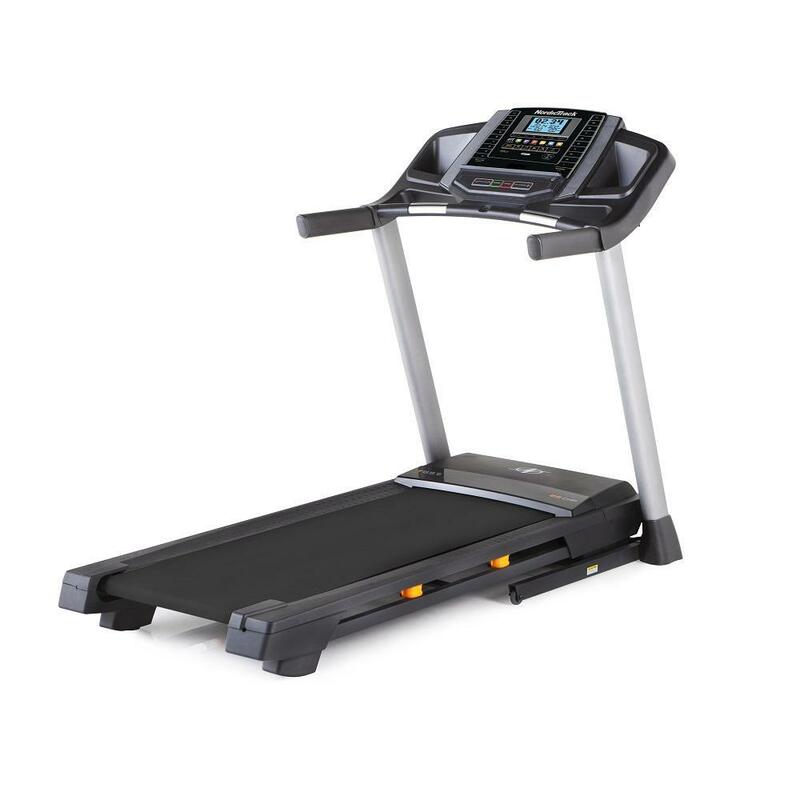 NordicTrack is considered to be one of the best brands of treadmills, as they tend to rank highest in terms of warranty, features, price, and ease of assembly. Brands Bowflex and Sole rank closely behind. No, though running on a treadmill is a little bit unnatural in comparison to the way the body works when running on the ground. To mimic variables such as outdoor wind resistance, it helps to place the treadmill at a 1% incline. While some are concerned that a treadmill may be dangerous for your knees, treadmills tend to be safer on your joints than running on paved roads. 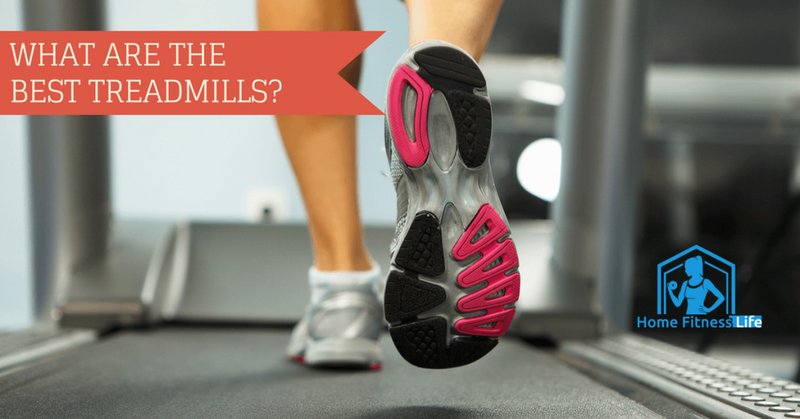 This is because most treadmills are built to sustain the impact of your feet against the belt. Treadmills should also not be damaging to the back, as gentle sustained use should help lose excess weight, improve bone health, and stimulate pain-relieving hormones. A treadmill at home makes exercising easy and accessible. The health benefits of regular exercise are numerous. Exercise helps maintain a healthy weight. Burning calories while running or walking means that the calories consumed are used for energy instead of converted to fat. Over time, people can lose weight from daily exercise on a treadmill. Exercising can also improve mood. Walking and running stimulates brain chemicals that promote happiness and relaxation. Regular exercise also boosts energy by directing oxygen and nutrients to tissues. Falling asleep faster and into a deeper sleep is also a common result of regular exercise. With a home treadmill, daily exercise is available in the room next door. People can quickly start to reap the benefits of exercise. There are also unseen benefits to daily exercise. A few minutes on the treadmill each day can combat heart disease. The activity promotes healthy cholesterol levels. Increased blood flow from exercising can also strengthen the heart and reduce the resting heart rate. These improvements make heart disease less likely. This is an additional health benefit because walking is a weight-bearing exercise. Regular treadmill use can increase bone density. Denser, stronger bones decrease the risk of osteoporosis. Although all types of exercise provide a health benefit, treadmill use provides added value as a weight-bearing exercise. Treadmills may mimic running outdoors, but there are advantages to running on the surface of a treadmill as opposed to dirt or asphalt. 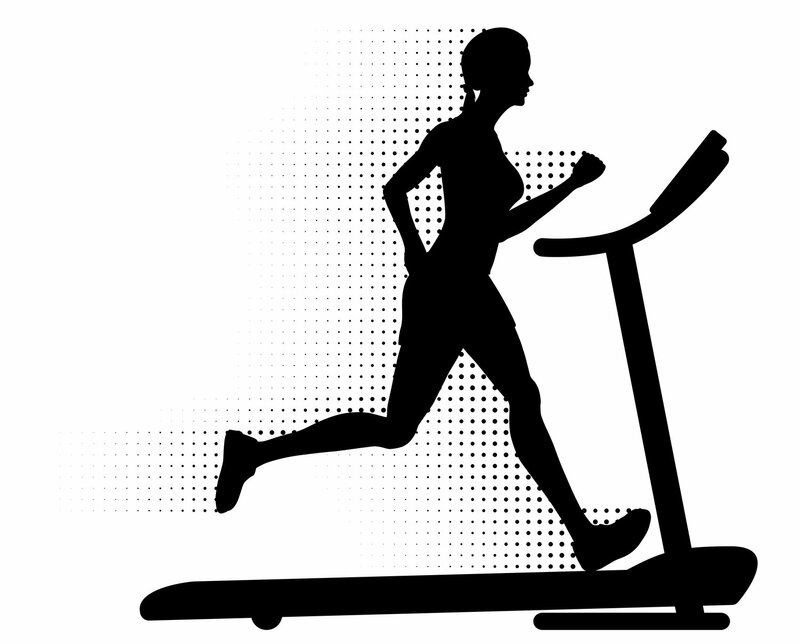 With a consistent and flat surface, treadmills provide a comfortable running surface. Running outdoors, in contrast, means contending with rocks and debris, hard asphalt and puddles. Even injured feet can sometimes walk on a treadmill because it is more forgiving than walking outdoors. Another health benefit of exercising indoors is safety. Running or walking outdoors can be hazardous. Many people run on crowded city streets, where cars, bikes, and pedestrians pose obstacles. At night, running becomes even more dangerous. Reflective clothing can help cars to see runners, but it's still a gamble. Investing in headlamps and light-up armbands may be necessary for nighttime walks. It requires an investment in the proper clothing and gear to continually run outside. Treadmills, in contrast, are typically in a well-lit and warm environment. Treadmills also provide a reprieve from the weather. Rain and snow conditions can create slippery spots on sidewalks and trails. Falling on ice two miles from home is no fun for anyone. In snow-bound areas, athletes can still train year-round on treadmills. People can also typically adjust the temperature and humidity of the room in which the treadmill is located. It can be comfortable at all times. Home treadmills provide a safe and dry space to exercise year-round. Improved form is another potential health benefit of treadmills. Outdoors, runners cannot easily evaluate how their feet strike the ground or the angle of their knees. Inside, on a treadmill, runners can set up a nearby mirror and observe their form. Awkward feet placement or pinwheeling arms become more easily noticed when reflected back to the runner in a mirror. Runners and walkers can adjust their strides to improve their form. The advantage is that better form can lead to fewer injuries and more efficient running. Practicing form on treadmills can even improve form when running or walking outdoors. Treadmills can also help walkers and runners be more consistent in their pacing. Outdoors, it is common to walk up hills and run flats. Even with a smart watch, it's difficult to keep a consistent pace. With a treadmill, athletes can simply set the pace and stay there. A steady pace is beneficial for racing and building endurance. Many training programs require that runners train at a particular pace to meet their goal times for the race. Treadmills make it easier to find and stick to the proper pace for each runner or walker. Many treadmills also provide custom workouts, which is like having a digital trainer. The benefit of human trainers is that they can adjust the workout to specific needs. Some people want to build endurance. Others want to burn fat. Some treadmills have workouts optimized for each of these needs. A fat burning workout will adjust the pace and incline throughout the workout for maximum fat-burning. These settings add variety to workouts. More experienced runners and walkers also have the advantage of customizing their own treadmill workouts. People can adjust their speeds and inclines as needed. An athlete that is training for the Boston Marathon in a flat place like Kansas can mimic the incline of hills on the race course. Runners and walkers are not limited to the geography of their area. Many different inclines and speeds can be simulated on treadmills. One of the greatest assets of the home treadmill is accessibility. If it's easy to walk into an adjacent room and exercise, it is more likely that people will run and walk. No matter the time of the year or weather, anyone can receive the benefits of exercise from treadmill use. 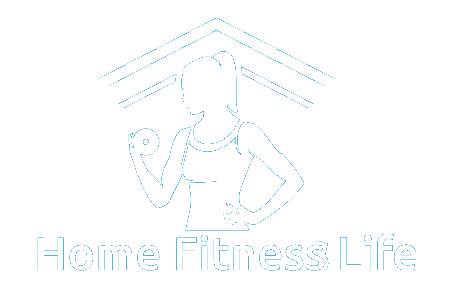 A good night's sleep and a healthy body weight are just a few reasons to consider purchasing a home treadmill. 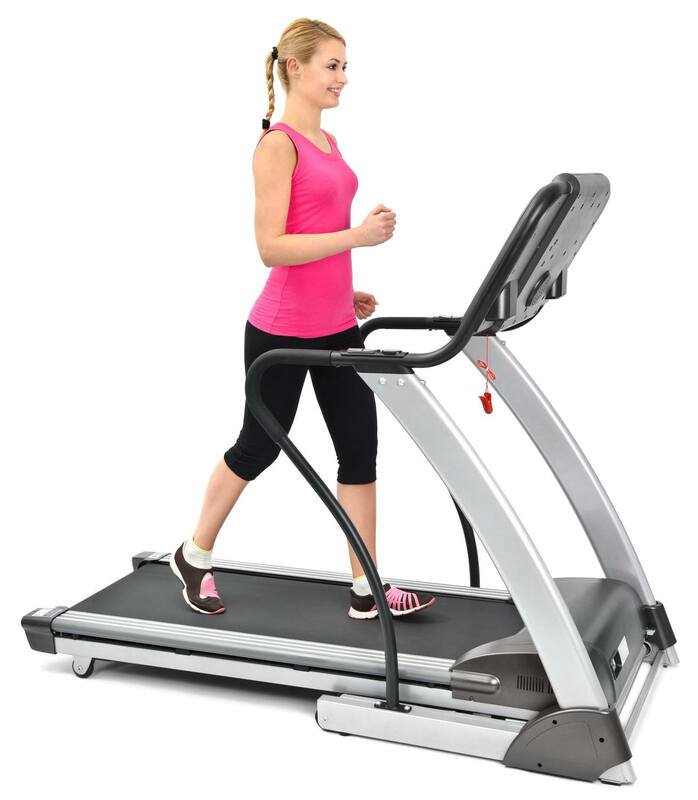 Although there are many varieties of accessories, the two major types of treadmills are motorized and non-motorized. Motorized treadmills are typically powered by an electric motor. Non-motorized or “manual” treadmills are powered by the user. The user has to use her feet to push the belt backward to start and maintain the turning. Each type has its benefits and disadvantages. Manual treadmills are typically a better option for walkers than for runners. Since users must maintain the speed of the belt using their feet, it's difficult to get it going fast enough for consistent running. However, manual treadmills are often cheaper than the motorized type. They are also typically lighter, foldable and smaller to store. Some newer versions even come with magnetic resistance, which can be used to make walking more strenuous. Manual treadmills are a simple option for people that want to walk more. Motorized treadmills are what most people think of when they visualize a treadmill. A small electrical motor spins the belt for the runner or walker. There are many sub-sets. Some are better for walking than running. The models optimized for walking are shorter in length, typically less than 50" along the belt. Walkers take shorter strides than sprinting runners. Additionally, they often have less powerful motors. For example, one might only reach 4mph. In contrast, more powerful motors can reach 12mph. They are intended for running will have the more powerful motor and have a length greater than 50". Almost all have an incline function, which raises the incline of the treadmill. However, some incline adjustments are manual while others are digital. Manual adjustments require getting off of the treadmill. Digital incline adjustments can be performed while the treadmill is in use. They also come in many different models; the best one depends on the user's needs for length, speed, and incline. When it comes to storage users ought to consider folding treadmills. Some treadmills can take up more than 5 feet in a room. If it folds up, it can be stored out of the way when it is not in use. Most manual treadmills can be folded. Motorized treadmills come in both foldable and not foldable versions. Some more expensive motorized treadmills will even fold themselves up electrically. For those with limited storage space, a foldable treadmill may be a better choice. You can also differentiate Treadmills by their features. A manually inclined treadmill is different from a digitally inclined treadmill. One common feature in motorized treadmills is a health monitor. This device takes the user's pulse. The heart rate can be a valuable piece of data. Users can monitor their heart rate to make sure it doesn't go too high when exercising. Other users may be interested in a phone charging or phone connectivity feature. Some motorized treadmills can even sync data to apps through Bluetooth. Choosing a motorized treadmill allows users to select these features if desired. 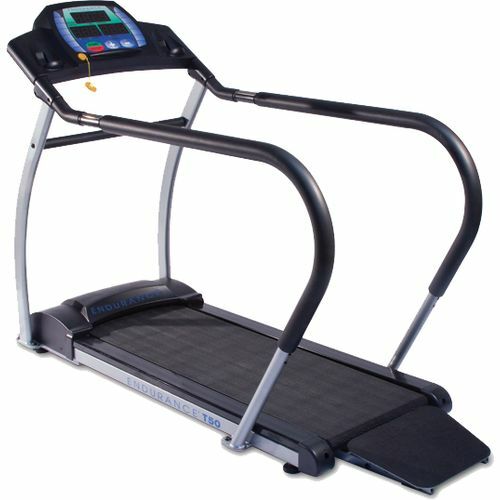 Manual treadmills, though inexpensive and simple, are not as commonly purchased as motorized treadmills. Motorized treadmills offer a variety of different features, like incline, heart rate monitoring and phone connectivity. Choosing the right type depends on the features desired. 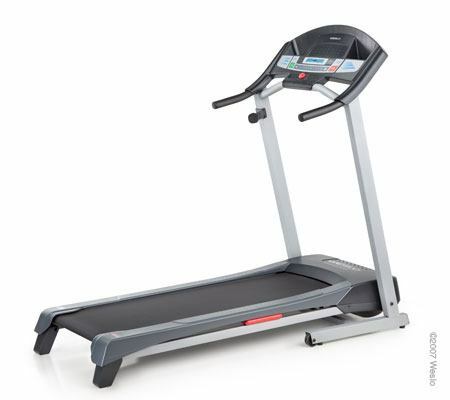 A familiar brand name, the NordicTrack T 6.5 S motorized treadmill comes loaded with features for runners. With a longer 55” length and speeds up to 12mph, runners can sprint fast and with full strides. Hill workouts become easier too because the T 6.5 D has a digital incline adjustment. Users can adjust the incline between 1% and 10%. With 20 workouts preloaded onto the machine, there are plenty of options to choose. Runners and walkers can also plug their phones into the built-in sound system to enjoy workout music. Although full of features, the NordicTrack is not foldable and the longer belt length may take up more of your living room than the less expensive models. Like many models over $500, the ARF Sport 5.5AT comes with digital incline adjustment and a built-in audio system for connected phones. The specifications are similar to the NordicTrack, but AFG Sport only reaches 10mph. It also comes with nine preloaded workouts instead of 20. However, it still has the longer 55" length for runners. It also features a fan to blow cool air into the faces of runners, along with a pulse monitor. Unlike the NordicTrack, the AFG Sport does fold for easier storage. However, users should keep in mind that the models with digital incline adjustments tend to be heavier. The AFG Sport weighs 212 pounds, as compared to the 52 lb Trac Pro 735W. For those that like climbing hills, the SF-T7515 offers an extra digital incline adjustment, reaching 12%, or 7 degrees. Climbing hills can be rough, so the SF-T7515 only reaches a top speed of 8 mph. However, walkers can benefit from slower speeds and significant incline, which can bump up heart rates without need to run fast. The treadmill will display the heart rate as walkers climb up the hills. This model does offer a couple of other unique features, like an estimated BMI calculator and Bluetooth phone pairing to the built-in audio system. These fun features make the SF-T7515 a good option for runners and walkers alike. Space-conscious exercisers should note that this model is not foldable, though. A unique feature of these motorized folding treadmills is that it can fold itself electrically. A push of the button will adjust the treadmill from flat to folded. When laid flat, it has many of the features of similar models. The top speed is 11mph, second only to the NordicTrack on this list. The TR2000e also has digital incline adjustments, 15 levels in total. 17 workouts will get new users burning calories right away. The USB connectivity links users to a free club account that saves the results of the exercise. A paid upgrade to Bluetooth connectivity allows users to connect to any app to save results. For those that like tracking their data automatically, the free app or paid Bluetooth upgrade makes this treadmill appealing. This specialized treadmill is intended for active seniors. It is one of the few options with an orthopedic walking belt. Another unique feature is the wide rear entry ramp for stepping onto the orthopedic belt. 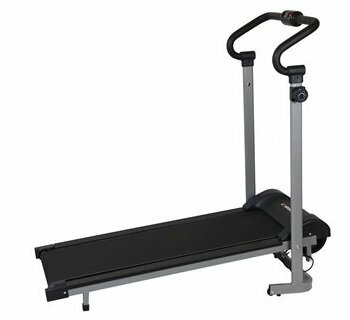 A long padded handle nearly the length of the treadmill provides a secure grip for entering the treadmill. The top speed is only 5mph, but that is plenty for most walkers. Other senior-friendly features include large buttons and easy-to-read displays of time, speed, distance, heart rate and calories. With the features of this treadmill, seniors too can reap the benefits of walking daily. The Cadence G 5.9 treadmill is a motorized foldable treadmill. It comes with two positions of incline, which can be set manually. Like many other treadmills, the Cadence G 5.9 comes with a heart rate monitoring system. The speed can be adjusted from 0 to 10mph. One nice feature is the six trainer designed workouts. Users won't find any phone charging ports on this model though, which is typical for models under $500. In all, the treadmill is good for both walking and running, though, with a length of 50 inches, taller runners might find the length a little short. However, the shorter length makes the treadmill easy to fold and store. For more information on this machine, check my full review here. Designed specifically for walking beginners, the Exerpeutic TF1000 is a motorized foldable treadmill. The 1.5 horsepower engine is quieter than more robust models. However, the maximum speed of the treadmill is only four mph. This is a great speed for walkers, but runners might find it slow. The TF1000 can be a great option for those just starting to use a treadmill. 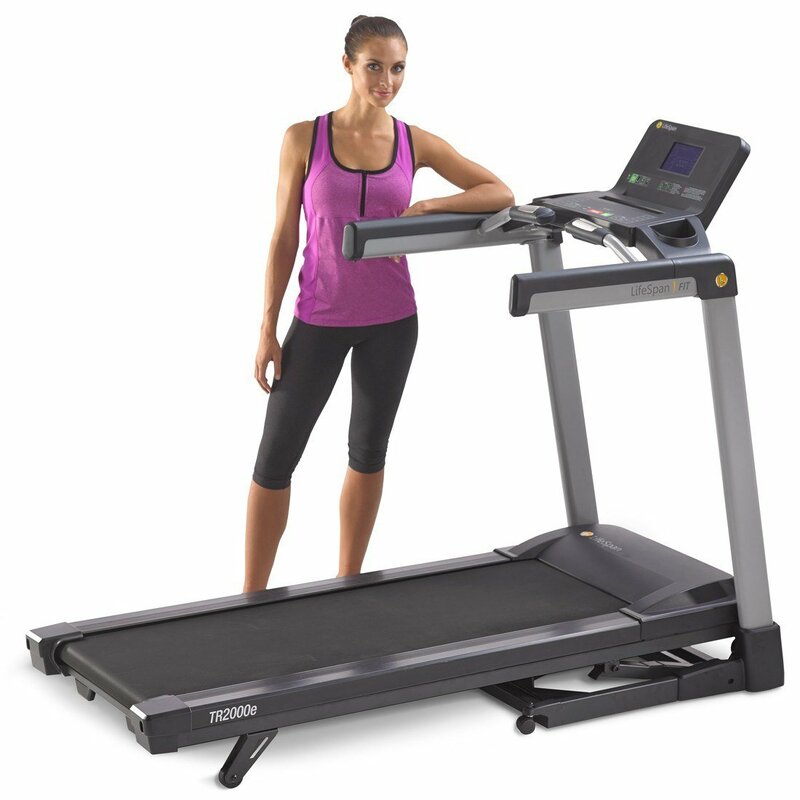 Unlike most models of its class, the TF1000 supports up to 400 lbs, has an extra-wide treadmill belt and boasts long safety handles. The TF1000 has a variety of features, including heart rate monitoring and two angle manual incline adjustment. Another foldable option, the Trac Pro 735W is particularly compact and light (52 lbs). At only 47” in length, it takes up less space than many similar models, even when ready to use. With the shorter length, taller users might find this model better for walking than running. The 600W motor can boost speeds to 6.2 mph. This top speed is more suited to jogging than running for many. Walkers can manually adjust the incline to three different settings. The Trac Pro has twelve built-in programs. However, this is one of the few models that doesn't have heart rate monitoring available. This manually foldable treadmill offers eight different resistances for walking. Users can manually push the belt on the treadmill and increase the difficulty by using the magnetic resistance. The incline is fixed at a gentle angle. At 62 lbs and 47” in length, the Magnetic Manual treadmill is one of the smaller and lighter options. It can even be wheeled around when folded. As a manual treadmill, this one is designed for walkers, with a shorter length and nonadjustable incline. It requires no electricity to run, which makes it easy to set out and use. However, users might miss the distance and calories burned data that most provide. No heart rate monitoring is available either. Loaded with more features than similar models, the TX2000 has a tablet stand that works with most tablet models. Users can watch programs on their tablet while working out. It comes with the typical data like speed, distance and time. There are twelve built-in exercises. The treadmill can reach a speed of 7.5mph, which is pretty fast for an under $500 model that can support users up to 300 lbs. There are three incline settings available, which must be set manually. It's not quite as fast as the Cadence G 5.9 model, which reaches ten mph, but it could be a good option for runners with a shorter stride. A Sole F85 has practically everything a serious runner could look for in an exercise machine. 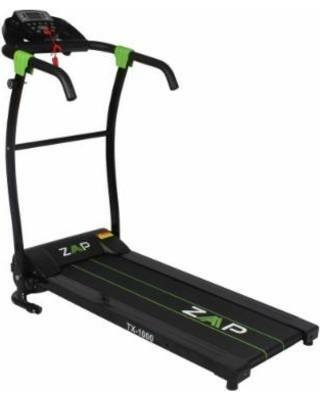 It has an extended running area, cushioning for your feet and joints, an automatic incline, and a powerful motor. With a 10.1 graphic display, a place to put your tablet, and Bluetooth connectivity, you can monitor your progress and share data with your apps. One of the more prominent selling points on this machine is the 5-year warranty, which means you can buy with confidence. iFit compatible treadmills: Older machines with upgradable consoles to be used with iFit. iFit ready treadmills: Can connect to the app on your phone via Bluetooth. Your data can also be displayed on Bluetooth-enabled television sets. iFit enabled treadmills: These machines come with the system built in. They provide suggestions on different workout and numerous features on their touch-screen consoles. Why is iFit Coach such a sought-after capability? This app provides custom feedback for a personalized experience. It tracks your health activity no matter where you are, and it can automate your treadmill's incline and speed for practical training sessions. This app isn't just for training, it also has advice for nutrition and your sleep schedule. You have to decide whether you plan to use your treadmill for walking or running because not all models are the same in this regard. If you want to buy a walking treadmill, you'll find that they tend to have lower maximum speeds and shorter tracks. A walking treadmill tends to have a track length of about 55 inches with a top speed of 10mph, while running treadmills tend to be longer than 60 inches, with max speeds over 13 mph. If you’re training for a marathon, iFit treadmills hit the mark, as they have the extra track length to suit runners with long strides. iFit incline trainers, on the other hand, have comparatively lower speeds, but their incline can improve the intensity of your workout. Standard treadmills also come with incline features these days, even if the slope isn't mechanical. Incline allows you to isolate different muscle groups, as you can impact your legs from an angle. These kinds of workouts have also been shown to induce metabolic increase. iFit Coach offers scenic views with the sensation of crossing terrain with video you can view on your tablet via Bluetooth. Check this video to see it in action. You tend to get what you pay for, so the higher-end machines will usually be built to last. They tend to have higher weight capacities and require less maintenance. To assess the limits in durability of various machines, you have to take a look at what kind of parts are used in the device. For example, thinner belt is more prone to wear requiring lubrication and recalibration. Another thing you can take a look at is the warranty. If the warranty has a longer duration, you can buy with greater confidence. The manufacturers have put some effort into the machines construction. A console display are integral to the popularity of iFit. As you have seen in the video above, your workout can be enhanced with footage of popular paths outdoors. With the first map screen of the interface, you can decide where in the world you would like to visit virtually. Bigger screen help immensely with immersion. With an iFit-ready treadmill, you can add your own screen with a display of any kind. An iFit enabled treadmill have included video screens. NordicTrack screens rend to range from seven to twenty-two inches. With the iFit technology and extensive fitness library, you’ll have endless workouts for every day. You can use iFit in tandem with Google Maps to draw a scenic route and run it on your treadmill. The deck will also adjust so you can feel the hills and valleys as you go. While most treadmills focus on incline, this model also has a -3% decline which helps with full terrain race training. 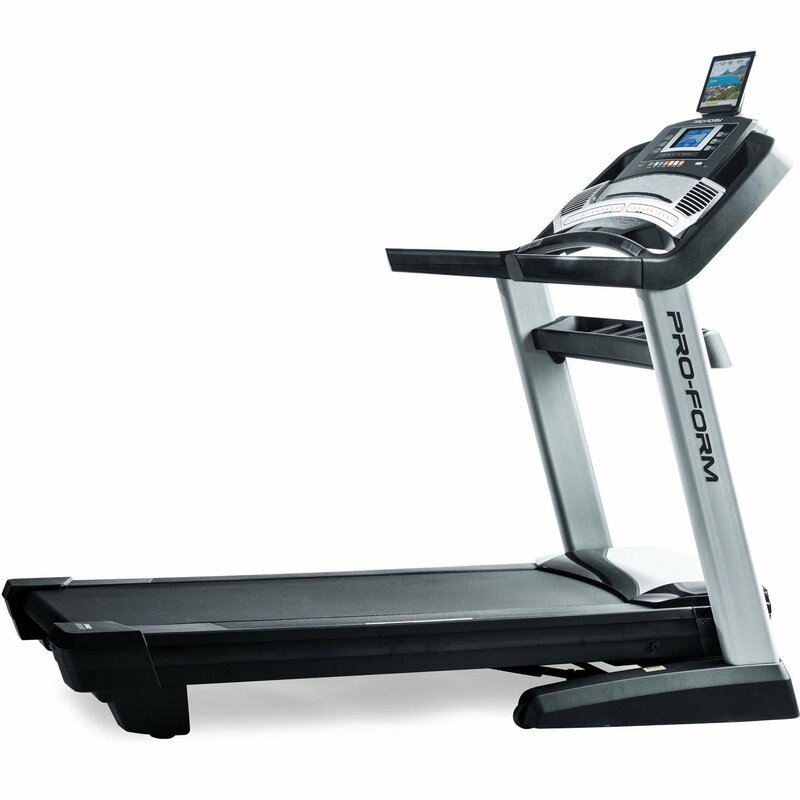 Out of the high-level treadmills with these features, the Pro 2000 is more affordable. It’s also one of the more quiet models with a silent motor and non-flex rollers. This next treadmill doesn’t come with iFit preinstalled into the dashboard, but it is iFit compatible. Much less expensive than the Proform Pro 2000, this model comes with 20 built-in workouts and helps you achieve targeted exercise of different muscle groups. This model comes with 2.6 CHP (Continuous Duty Rating) drive system. You can easily plug your mp3 player into the console sound system to keep you motivated with your own music. With a 5-inch backlit display, this console might not be as impressive as the Proform, but you will be able to work out in a darkly-lit area. This makes it a good machine if you plan on exercising in the garage or somewhere else in your home that is out-of-the-way. 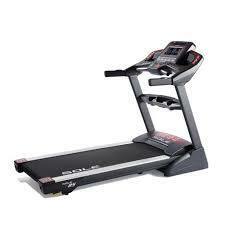 Along with an incline, this machine also has FlexSelect Cushioning to reduce the impact on your feet. This iFit-enabled ProForm is much less expensive than the Proform Pro 2000. With a Bluetooth-enabled console, you can use your tablet as an iFit display. With LED windows and a Watts meter, you can monitor your exertion levels. Not only can you fold this model, it comes with incline features and a 2.5 CHP motor. 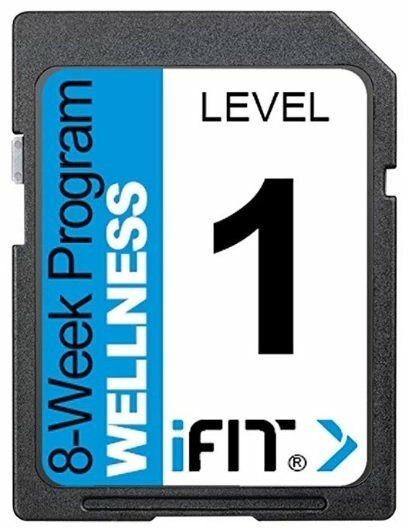 This is one of the most highly regarded SD cards for iFit. It has a progressive program that lasts eight weeks. It’s meant to help you burn calories to shed the weight. Only NordicTrack fitness machine with an iFit SDcard reader are compatible. This little card acts as a certified personal trainer without having to pay the fees. There are different categories depending on whether you are a beginner, intermediate, or advanced. All you have to do is plug the card in to start the workouts. It is a very intuitive way to get results and track your progress as you go. 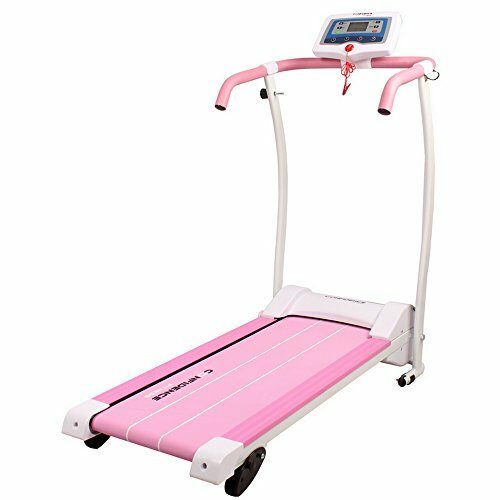 To pair a treadmill with a piece of gym equipment, it needs to support GymKit. Some of the manufacturers that currently support GymKit include TechnoGym, Matrix Fitness, and Life Fitness. Brands such as SCIFIT, Stairmaster, Star Trac, Schwinn, and Nautilus. It seems at this time, GymKit is mostly supported by commercial gym equipment, not the consumer-grade machines you might find on Amazon. Complete with every useful feature, including folding, the winner is the AFG Sport 5.5AT. The treadmill has everything a typical runner or walker needs, including digital incline adjustment, phone speaker connectivity and a high top speed. It is slightly slower than the NordicTrack and has fewer workouts, but most users won't notice the differences. The ability to fold, which the NordicTrack does not have, makes a bigger difference than a few more workout choices. 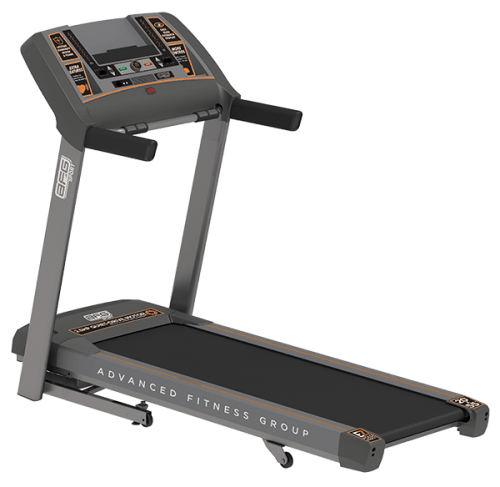 The AFG Sport 5.5AT does everything that you'd expect a treadmill to do and for a reasonable price. Click here to see more great cardio machine recommendations from Home Fitness Life.